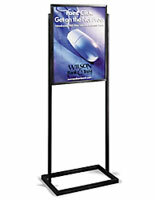 This 22” x 28” steel poster stand, finished with a glossy black coating, is a staple for businesses looking for a versatile and practical way to catch the eye of any consumer. 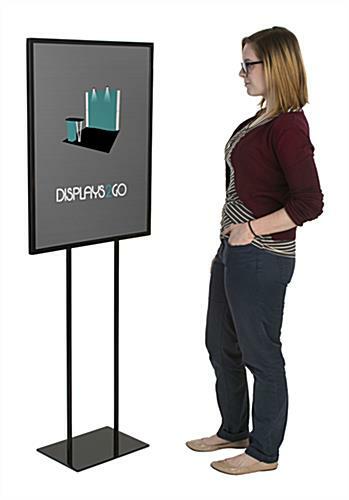 This metal display hits the sweet spot when it comes to frame size and appearance, particularly for those trying to attract interest in high traffic areas like retail stores or trade shows. 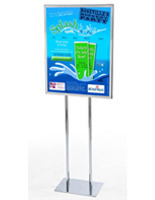 This sign holder poster stand is large enough to get noticed but small enough to function in locations of varying size. 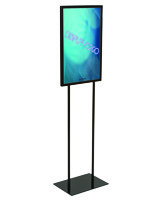 Though this floor display is manufactured with a metal frame for durability, it’s still lightweight enough to be moved and repositioned with ease. 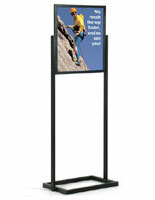 For those making quick changes, this poster stand’s top-loading frame makes the process fast, easy, and hassle free. 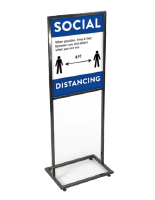 Adding to its functionality, this sign holder’s double-sided display is great for boosting your visibility - ­no matter where you position it on the floor. 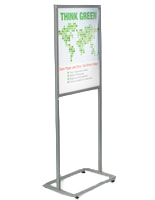 22.4" x 60.0" x 20.0"
14.0" x 0.25" x 10.0"
Ordered this product for an event. Said it would be shipped next day. Took over a week to arrive and missed the event. We're so sorry to hear about your experience, but thank you for making us aware. One of our customer care specialists will be reaching out to assist. Thank you! Stands are great. I just had to purchase foam board to place within the stands so that I could attached our flyers. 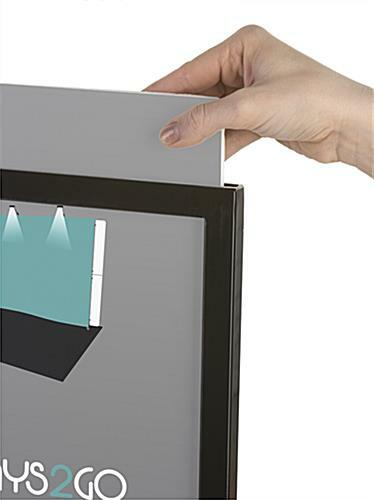 It was difficult to find 22 X 28 foam boards. It is not very strong. 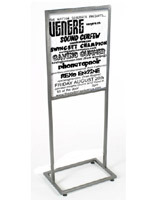 We are sorry that you were not completely happy with the quality of this poster stand, Maryse. 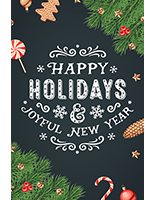 If you would like to discuss potentially returning or replacing this item, feel free to contact our customer care team via phone, live chat, or email and they will be happy to assist you. It was great!!! We got in a timely manner and it looked just as expected.